So I feel like there are a few things ya'll should know about me... 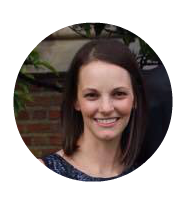 I love creating and sharing sneaky learning activities AND I LOVE crafts and learning activities based on children's literature. There are so, so many great books out there to extend the story through purposeful play or hands-on activities. And the dear Maggy Woodley from Red Ted Art has put together a fun list of crafts inspired by children's stories! Welcome, Maggy!! There's nothing like adding in hands-on activities or easy kids crafts to bring children's books to life! Making a cute little craft or acting out a story with props helps children process the parts of a story and enhance their learning. Plus, they are getting great fine motor and problem solving practice while crafting, too. That is why we love fairy tale crafts and book inspired crafts at Red Ted Art. And I've decided to share nine of my very favorites with you today! These Toilet Paper Roll Crowns were inspired by The Paper Bag Princess, by Robert Munsch, but the cute craft could be paired with so many other children's stories or fairy tales, too. And won't the finished crowns inspire some awesome imaginative dramatic play?! Make up this 3 Little Pigs Story Telling Prop Set to bring this classic tale come to life. The kids will love huffing and puffing with the big bad wolf while they retell the story over and over. Are your little ones Hairy MaClary fans? With this easy craft, children can make their very own Hairy MaClary Dog! He would make a fabulous reading companion. Plus, he's a marionette, so he can go for walks with littles, too! 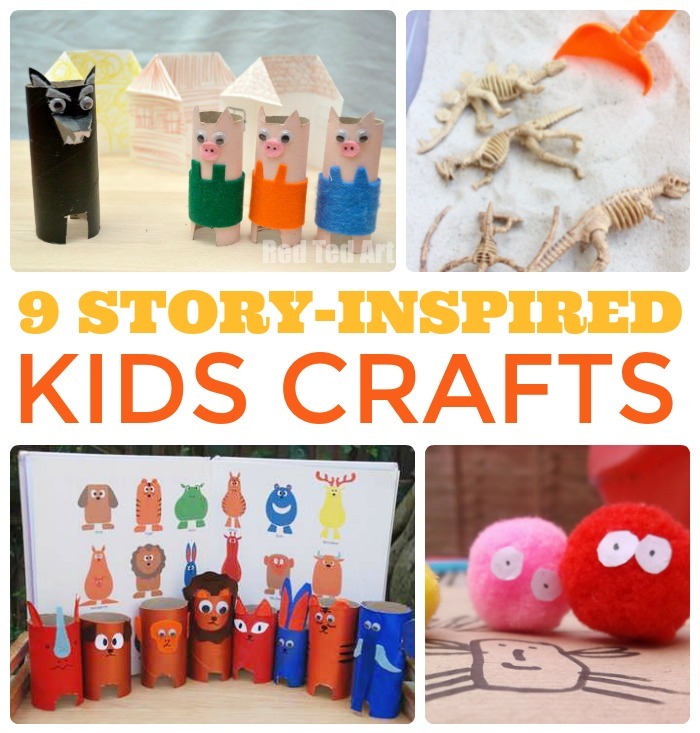 Here is a story-inspired kids "craft" that is yummy, too. After reading Duckie's Rainbow, by Frances Barry, have your child help make some beautiful Rainbow Cookies. What better way to bring a book to life than through little tummies! Have you and your kids discovered the book, Shapes that Roll, by Karen Nagel and Steve Wilson, yet? You'll want to get your hands on a copy so you can pair this fun Monster Cards craft with it. And they are so fun to send to special people through the post, too! If your little one loves animals, you may already know about the adorable book, Who is Hiding?, by Satoru Onishi. Well, how about playing a little hide and find fun with a handcrafted TP Roll Zoo?! These loo roll zoo animals would be a fun craft to pair with any number of other animal books, too. Your little dinosaur fan will adore this creative Digging up Dinosaurs activity inspired by the book, The Berenstain Bears' Dinosaur Dig. No, it's not exactly a craft, but it's just too fun of a hands-on activity to leave out. Inspired by the silly book, Doug the Bug that went Boing!, this handmade Doug the Bug game will get the kids moving and giggling in no time. And it's so easy to throw together for rainy day fun. So many of the crafts and creative activities in the list above would pair with other books and stories, too. 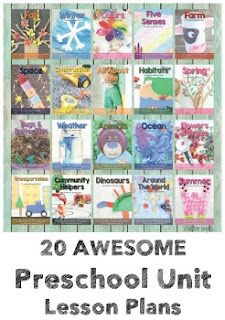 Pick an easy kids craft from the list and head to the library to pick out a children's book of a similar theme. 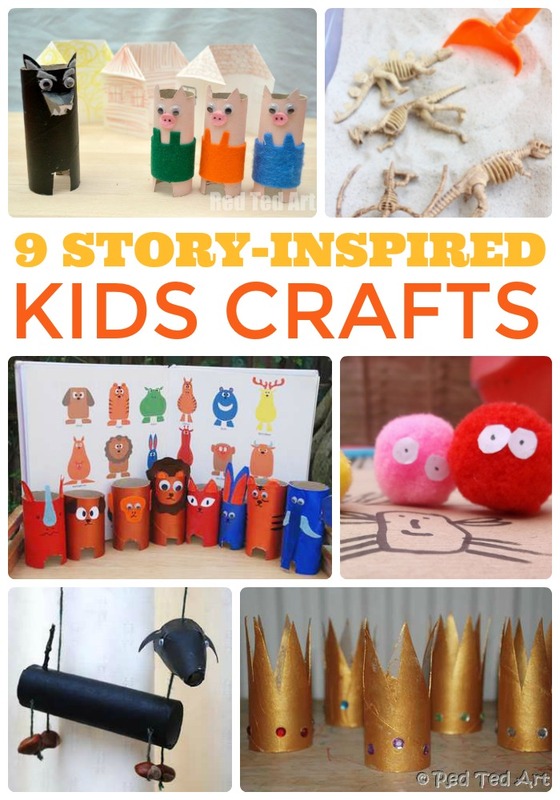 Or start with your child's favorite book, and check Red Ted Art for more book inspired craft ideas! As I mentioned, we love storybook inspired activities and crafts! Here's a couple more you might like inspired by some of our favorite books!